Take a peek at our Sale section for some real treats are great prices! Lots of other goodies can be found too! 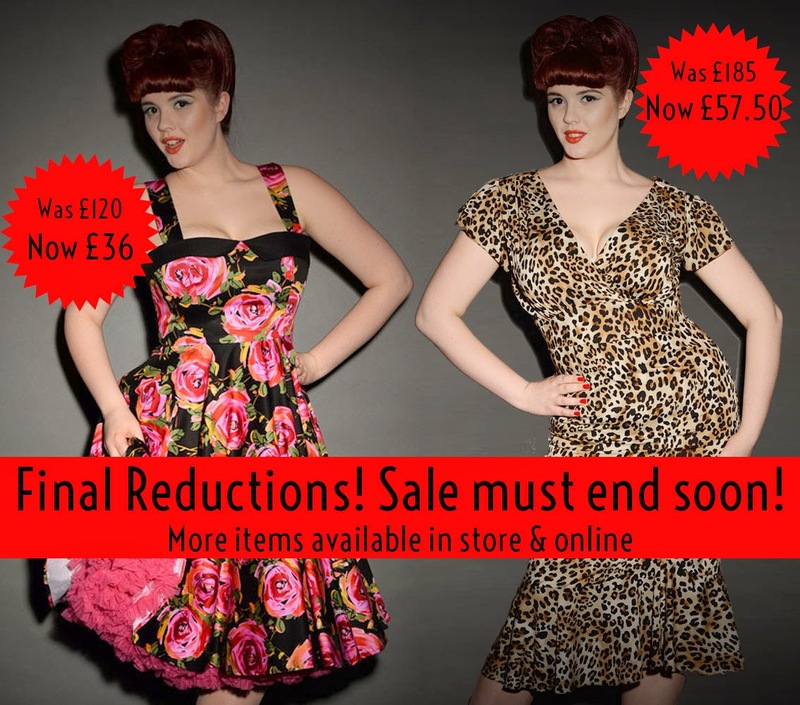 Deadly's End of Summer Sale - great reductions on pin up & vintage style dresses! Our seasonal sale is now on! If you are a Deadly fan you know these big sales don't happen very often so head on over the our Sale page and take a look! 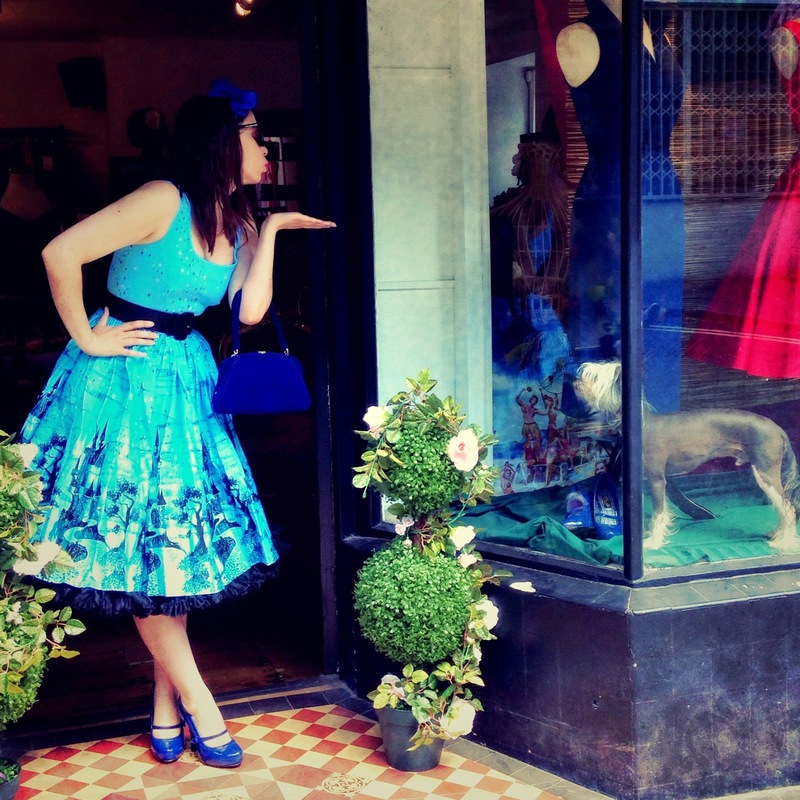 We have up to 50% off selected vintage style clothing and accessories including dresses & separates by Pin Up Couture, Trashy Diva, Stop Staring and much more! We are so thrilled Belinda Stewart-Wilson (also known as Will's fit mum, Polly McKenzie) chose to wear her Deadly is the Female Lauren dress to the Premiere of The Inbetweeners 2! So far she has made today's Metro, The Sun and The Mail Online - all of who (very rightly so) have been extremely complementary of Belinda's style and her red and black wiggle dress. The Mail Online even included a link and a photo of the lovely Sian modelling the dress on our website, which is fantastic! We had a giggle at them saying they had never heard of us (Umm... Nigella's red wiggle dress?!) but we don't mind! Huge thanks to Belinda for sharing our name with the press and for letting us know she'd worn the dress. We hope she felt as amazing as she looks! We were lucky enough to have a few of the Aurora Fairytale Castle Print dresses in stock a couple of weeks ago and after posting them on the Deadly Facebook page they sold out faster than any dress we have ever had! They are from a Pinup Couture Limited Capsule Collection so we didn't think we could get any more - then, as if by magic, more have arrived! I couldn't resist trying one on this time and boy oh boy do I wish I hadn't - now I really want one all for myself! 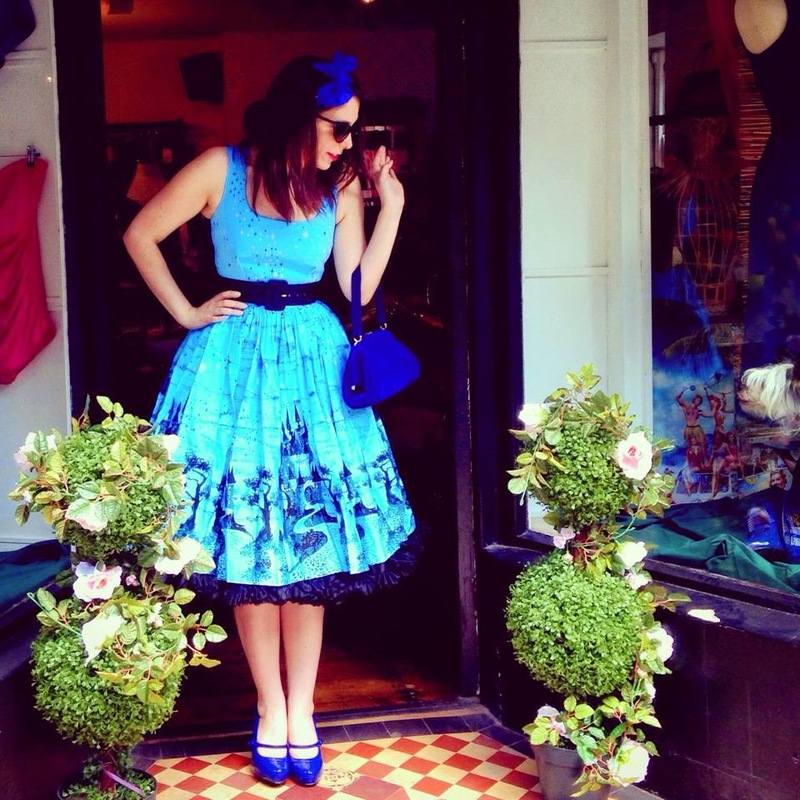 I've styled the dress with black kitty sunglassses (£10), Exotic Pink Besame lipstick (£22), a blue chiffon scarf (£10), blue velvet vintage evening bag (£70), black chiffon petticoat (£60) and blue cutiepie Pinup Couture shoes (£50). The belt comes with the Aurora dress (£120) & is perfect for cinching in your waist! We are so very proud to be official UK stockists of Pinup Couture - the quality and their determination to continually bring something bigger and better without straying from their vintage style roots is inspirational... And frankly, their clothes are to die for! Thanks to Lauren for snapping some photos & to Gomez for posing with me - I really do love my job so! 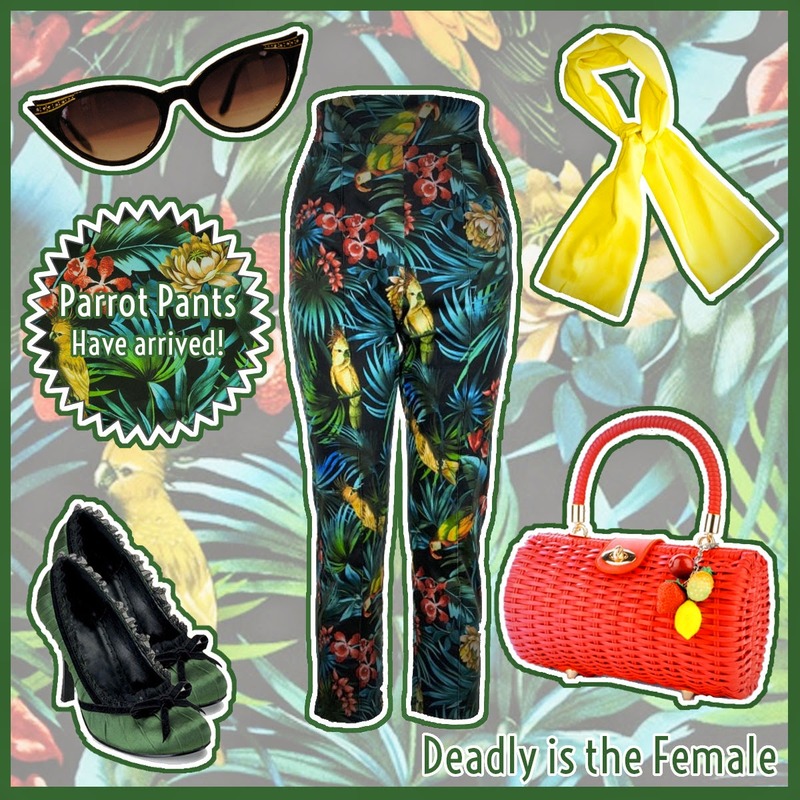 Kitsch Parrot Pants are now in stock! Just how fabulous are these Parrot Pants?! I have fallen head over heels with them and couldn't resist a pair for myself! Look at all the fun ways you can accessories them! 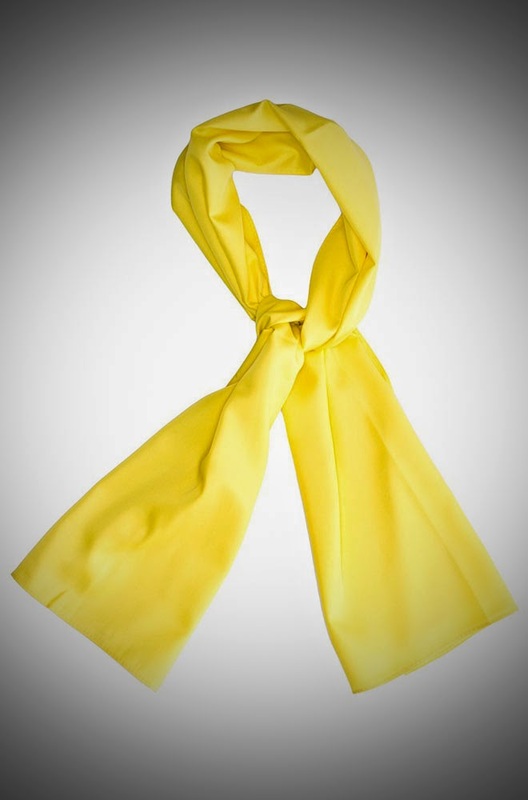 The Scarf is a bad girl scarf - they are £8 and there are lots to choose from! 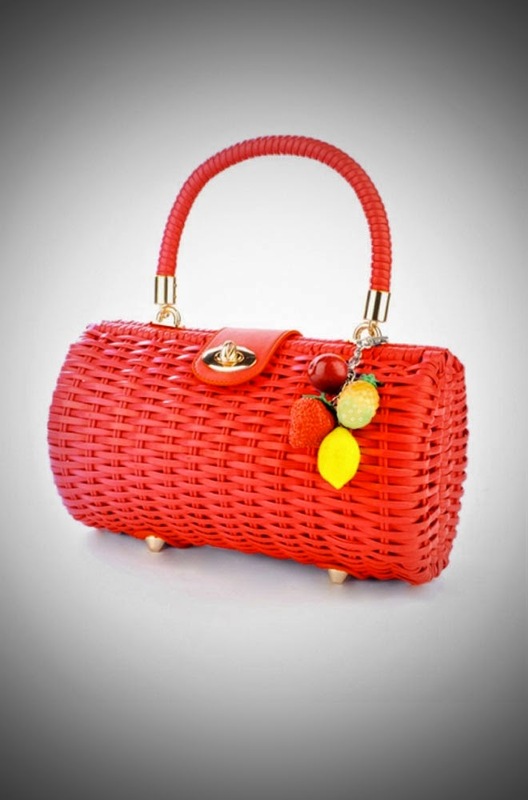 The Bag is a red wicker baguette by Pinup Couture and it comes with the fabulous fruity keyring! 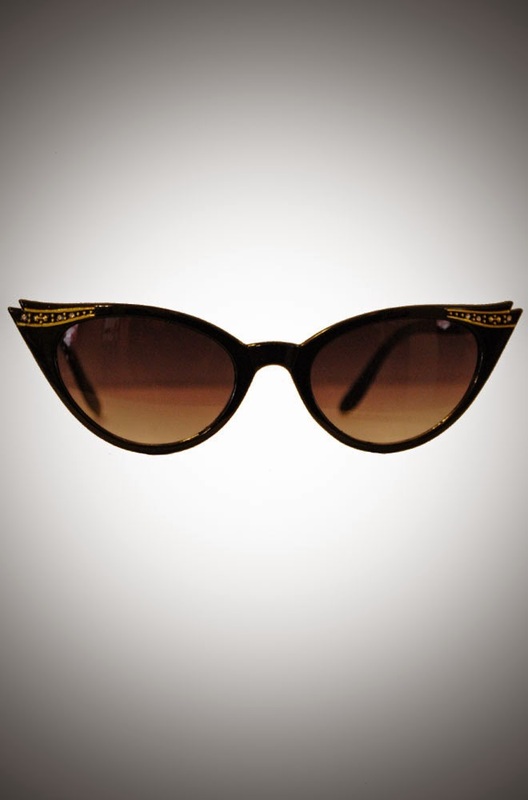 It comes in red or black and they are £65 but hurry - we only have a few left! 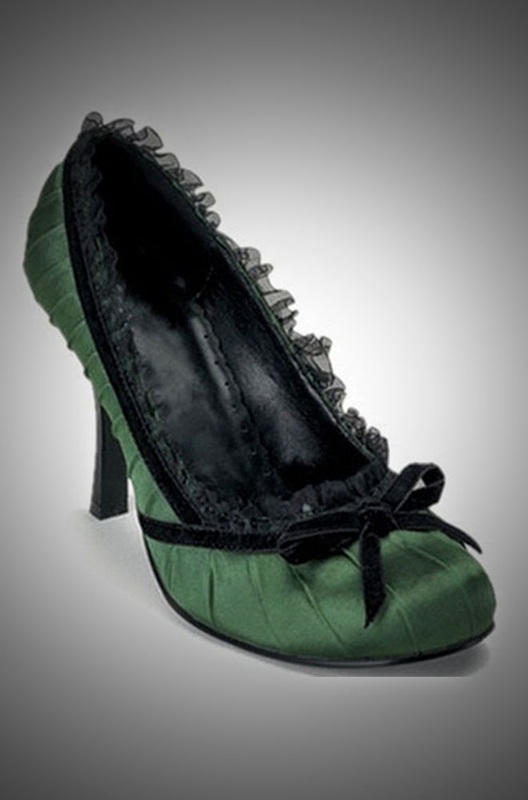 And the shoes are longstanding classic Satin Pumps in Green - a great way to dress up these fabulous Parrot Pants for the evening! They are £35 and there are lots of colours to choose from here too! Oooooo Momma, it is hot! We are dreaming of lazing by the beach with a huge cocktail (a pina colada - and we don't even LIKE pina coladas!) in some classic 50's swimwear. Good news is we have the swimwear and the weather - we just don't have a beach! Although Frome is turning into Frome-on-sea in a few weeks for More Than A Market - see all the info here - www.thefromeindependent.org.uk/more -it sounds fantastic! 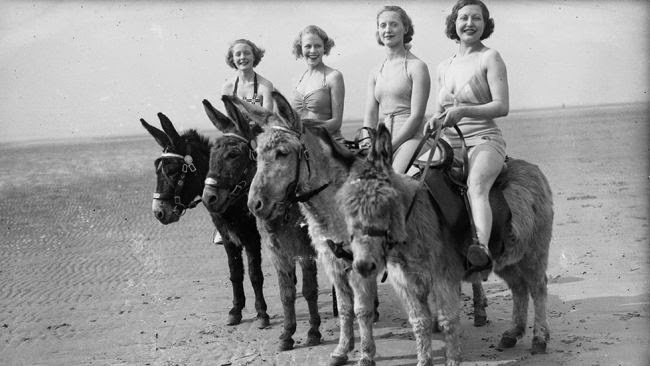 And there will be donkeys. The Market is always well worth a visit but this one sounds extra special. Plus we will of course be open from 10-3. Well, it has been an outrageously long time since I blogged. I am a bad, bad girl and I am very sorry. I am determined to blog more - I think little and often might be the key! The thing that has inspired me to get back into it is some recent confusion over voucher and coupon codes. As you may well know, Deadly is a pretty tiny company (in the grand scheme of things, in my life it is huge!) and so we try to keep our prices as low as possible all the time while balancing high quality and hard to find items that will make you feel a million bucks. We occasionally run special offers, when we have something to celebrate like our 5th birthday last year or when we want to say thank you, like when we hit 50,000 likes on Facebook! These always run for a limited time- sometimes a few hours to a few days and we try to always make this clear but sometimes you may need to check the date on the post. It seems that some voucher code websites pick these codes up - which is great - we are happy for as many people as possible to benefit, but they keep them long after the coupon has expired. They also make it look like the code is still valid which can lead to a disappointed customer - and that is the very last thing we ever want! So please keep this in mind when you use these sites and if you are having any difficulty or confusion please drop us an email at info@deadlyisthefemale.com and we will do whatever we can to help! Well, that was a fairly dry return to blogging blog post. But hopefully it is some useful information that might help avoid some disappointment. 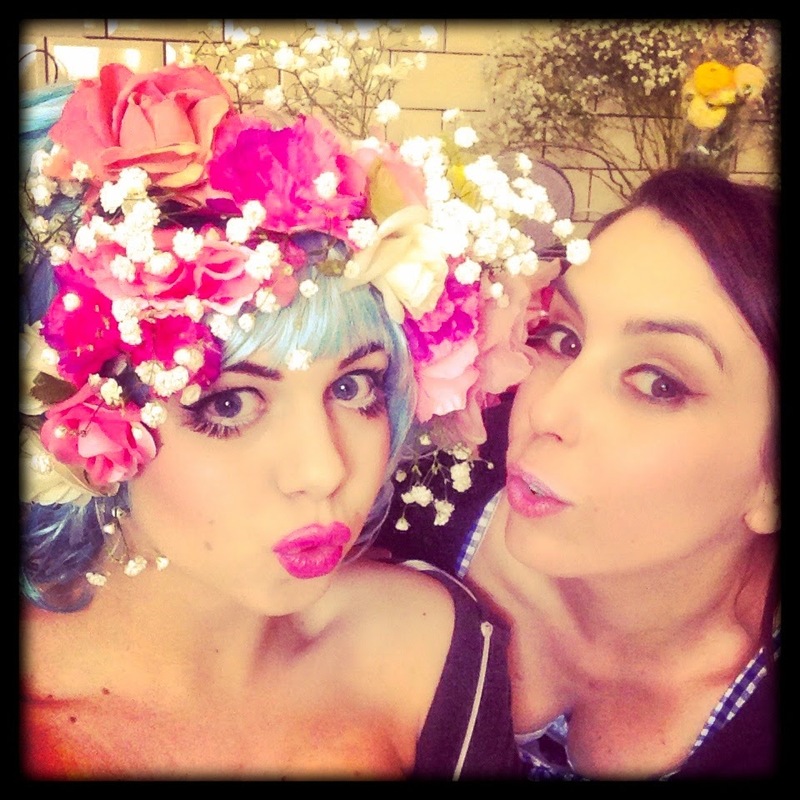 Here is a photo of Daisy and I behind the scenes on our last photo shoot to help brighten things up a little! Thanks for reading & we promise to blog more!